Trevose Park is a low rise condominium with full condo facilities situated along Trevose Crescent near the junction of Bukit Timah Road and Stevens Road. It takes around 5 minutes to drive to Orchard Road. Trevose Park is easily accessible by the Pan Island Expressway (PIE). 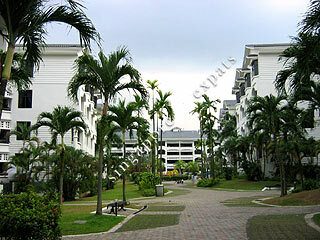 It is close to the International Schools, Raffles Town Club, The American Club and The Pines Country Club. A particularly peaceful residential development just 2 minutes from the Raffles Town Club and a 15-minute walk to the Botanic Gardens MRT Station. Ideal for persons with enjoyment of greenery. Recommended for families with your children.